Monster Truck Madness – Building High Horse « Big Squid RC – RC Car and Truck News, Reviews, Videos, and More! I tend to move quickly when I get really motivated by a project. Last week I wrote about wanting to building an old school style monster truck for the trail, this week the vehicle is sitting on my bench and nearly complete! So the real idea behind this whole “monster truck truck” deal is a throwback to the original monster trucks that rode around on large agricultural tires well before “monster truck” was even a term. 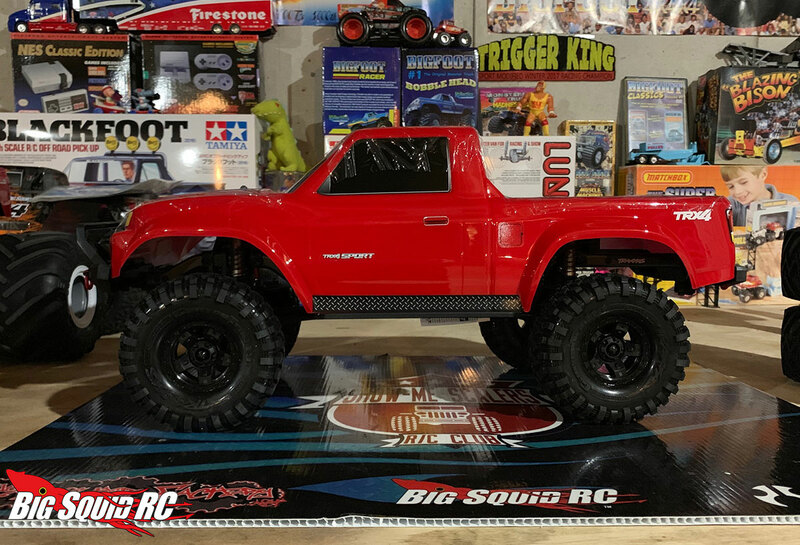 Trucks like the original Bigfoot- well before it was crushing cars in sold out stadiums, it was merely a play truck that was also used for 4×4 shop promotional purposes. Bigfoot would climb hills, ford creeks and rivers, hit mud holes out in fields and generally just go over anything that got in it’s way. You know, like how many trail trucks operate nowadays. 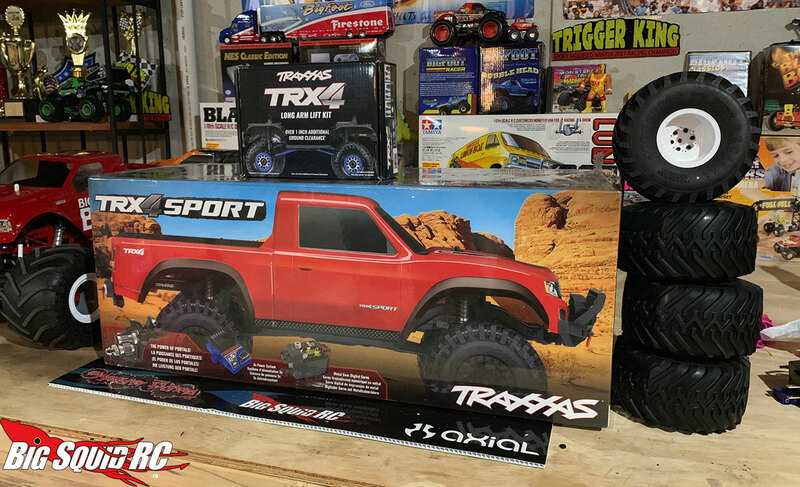 So knowing that I wanted a lifted rig sitting on terras, I went with the Traxxas TRX-4 Sport and the Long Arm Lift Kit. I have been wanting to lift one of these things ever since the kit was announced, so this was the perfect time. I placed the order at my hobby shop and viola, it was sitting on my bench several days later (see above). I went with the TRX-4 Sport over any of the others for two main reasons. 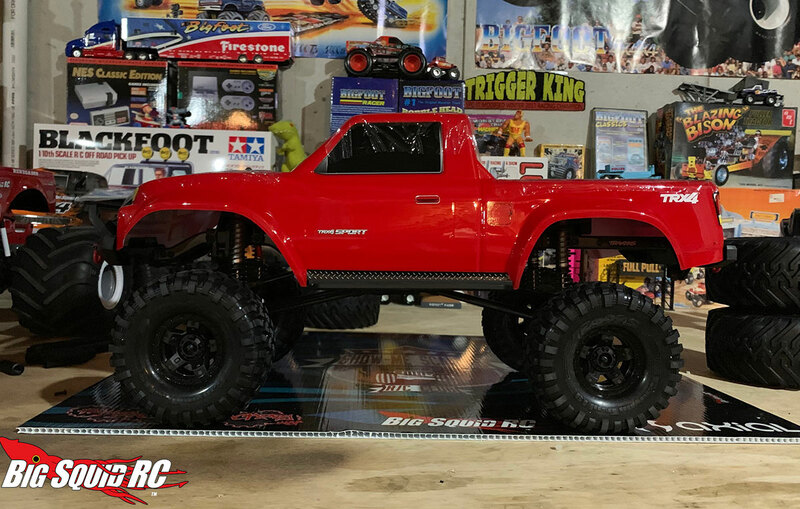 The first is that I knew I was going to paint my own body as well as use aftermarket JConcepts Ranger Tires with Midwest Wheels, meaning that buying the other versions of the truck with the finished bodies and licensed goodies didn’t really make sense to me. The second is that after having two standard TRX-4’s, I was hoping to enjoy the mechanical simplicity of the single speed, full-time locked Sport. The truck is getting a brushless system anyways, so that negates most of the need of having a two speed. So here is what I opened up. The Sport is a good looking truck. While I’m not huge on the generic pick-up body, it’s fine enough for what it is. After removing the wheels and tires, it was time to get to work installing the lift kit. I’m not going to bore you with the installation instructions as plenty of info is out there on how it works, but I will give you some general thoughts of mine given it’s my first experience. I am impressed with the engineering. The lift kit is not complicated by any means, but that doesn’t mean it isn’t well thought out. 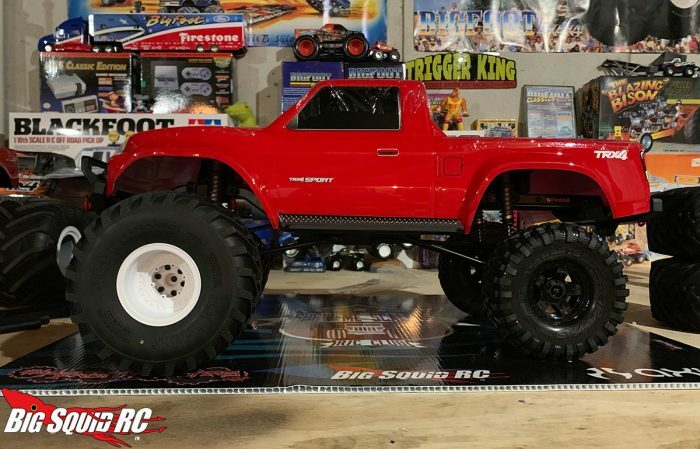 I lifted several Axial SCX10’s back in the day by way of shock relocation kits and other means that all totally hamstrung the truck. Even though the kit does raise the center of gravity by a good bit, it’s done in a good way with driveshaft, link and steering angles being in good shape. Check out what the truck looks like with the lift. Ok, now we are getting somewhere. The truck looks quite puny though with those small tires! Next week, that problem gets rectified and a new body will be mounted. Before I go though, here’s a look at the size of the new tires compared to the old. Now that’s what I’m talking about!